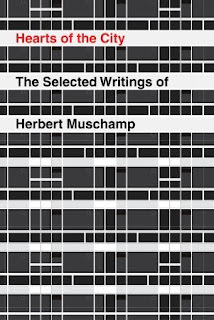 The new collection Hearts of the City: The Selected Writings of Herbert Muschamp memorializes the late New York Times architecture critic (who died in 2007) in 912 pages. 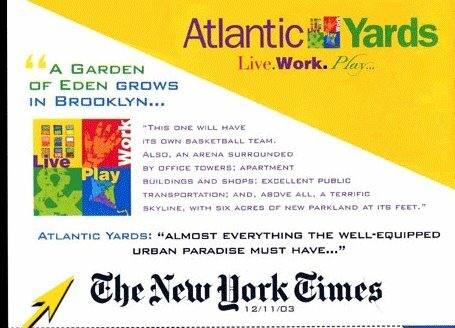 Guess what: his error-filled, cheerleading 12/11/03 appraisal of Atlantic Yards, headlined Courtside Seats to an Urban Garden, is not included. Credit the book's editors, perhaps, for spotting a dud and maintaining a compendium of Muschamp's best work. Even in a book this size, they had to prune a good deal. It was Frank Gehry's work, however, that brought out Muschamp's most rapturous writing. Muschamp sometimes referred to Gehry as a father figure, and he saw him as the standard bearer of an American, democratic architecture. But sometimes Muschamp got Gehry wrong. That shouldn't be lost to history, especially since developer Forest City Ratner was quick to use Muschamp's praise in its first mailer (aka "liar flier") to Brooklynites. That praise--"A Garden of Eden grows in Brooklyn"--was presented as the voice of the Times, not its Gehry-besotted architecture critic. Muschamp's extravagant review was off-base--no, the site was not an "open railyard;" no, there was not to be "parkland;" no, the Atlantic Yards differed significantly from Battery Park City. Worse, Muschamp mooned over the rooftop open public space, but that space was quickly turned private (update: and later eliminated, traded for a logo). Though Gehry was used to sell the project to the public--remember Kurt Andersen's interview with Bruce Ratner--Gehry was later bounced from the arena and the project. So the Urban Room Muschamp praised is no longer a feature of the arena block until and unless an office building--for which there is now no market--is built. And the idea that "the stadium [sic] will be tucked into the urban fabric" is also scotched, because it's highly unlikely that the arena, if built, would soon be wrapped in four towers as Gehry intended. But through the 1990s, Muschamp’s voice grew less clear, less assertive. He began to slather praise on a klatch of architects—Frank Gehry, Rem Koolhaas, Renzo Piano, Jean Nouvel—and virtually ignore the rest. ...Those are the standard criticisms of Muschamp, and those looking for supporting evidence will easily find it in the book. But there is a second reason to read Hearts of the City. 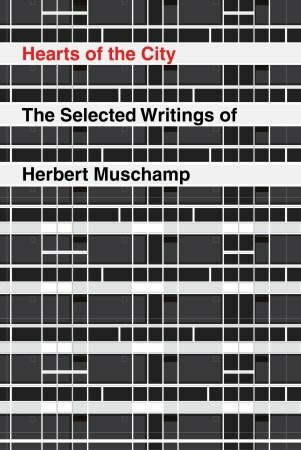 Muschamp, the collection illustrates, was only incidentally focused on architecture. His real project was to document the imprint left on late-century urban life by gay culture. Gehry, of course, was the architect for Atlantic Yards. And Piano was the architect for another Forest City Ratner project, the Times Tower, home to the New York Times. The story of this struggle—between corporatized urban spaces and the new urban flowering seeded by gay urban pioneers, between soulless Postmodernism and the humanistic, socially engaged work of Gehry & Co.—is the story Muschamp wants to tell us, the conventional obligations of the architecture critic be damned. It is a great story, but is it accurate? Have these architects, like urban gay culture, actually made the city better? Early Muschamp would have said no, for the same reasons he savaged Postmodernism. Later on, though, he was unable to see that no matter how good Gehry or Nouvel might be, their projects are not exempt from the privatization of public space, the impoverishment of civil society, or any of the other social ills Muschamp linked to their stylistic predecessors. This, then, is the third reason to read Hearts of the City: as the tragic story of a critic who becomes so emotionally invested in a cause that he loses the ability to do his job effectively. Indeed, and had Gehry's Atlantic Yards review been included, that would have been more clear. The editors ignored it. So did Ouroussoff. But it was, and remains, an embarrassment.